Never settle for less than perfect pipe tobacco! 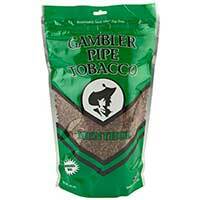 Gambler Pipe Tobacco wants to give smokers the best experience possible, which is why they are focused on delivery uncompromised tobacco flavor in each bag of their tobacco offerings. Sure, it’s an ambitious goal, but Gambler Pipe Tobacco achieves it time and time again! They use high-quality tobacco ingredients to perfect their offerings, providing unmatched quality blends with legendary flavors. They understand smokers want amazing quality at affordable prices and make sure their offerings are priced competitively. 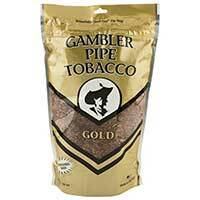 Their pipe tobacco blends offer a lot of flavor and taste at cheap prices. This means you can satisfy your smoke cravings as much as you want and not have to worry about it being expensive! 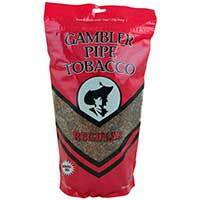 The Regular version is simply a great tasting pipe tobacco that’s suited for all day smoking. Mellow is smoother in taste, but still not as silky smooth as Gambler’s Silver option. Then there’s Mint, which features a slight taste of mint that won’t overpower your smoking experience. Instead, it leaves a refreshing taste in your mouth after each hit. Turkish is very exotic and blends a number of unique ingredients to provide a pleasurable smoking experience.